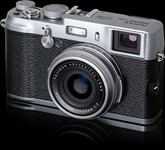 Fujifilm Canada has released details of the forthcoming X100 firmware update on its '@fujiguys' Twitter feed. A series of updates detail ten significant changes to the X100's firmware, designed to address some of the criticisms of the camera's behavior. Changes include more responsive 'wake from sleep' behavior without a long press of the shutter button, clear indication of the eye sensor being engaged and the maintaining of ISO/Self-Timer/DR/Flash/Macro settings when exposure mode, review mode or power state is changed. The original messages can be found at http://twitter.com/#!/fujiguys but, as yet, no official announcement of when the updated firmware will become available has been made. I want to know if it actually has useful AF speed. I want a camera this size, with a decently large sensor, that focuses as fast as my D3s! What i am waiting for is all black X100. Current firmware enough to allow me taking excellent photos. Well thank you very much FUJI! A firmware update for a camera I would love to have but can't even buy! Thanks Again! In the long build up for this product we were asked to send Fujifilm our suggestions before the camera was supposedly finalised. This has all been taken off the web now I suppose, but I distinctly remember my polite reply. I suggested that they did not release such a beautiful looking camera with so much potential before rigorous testing every aspect of it. Put pre production units out with professionals who would give them valuable feedback. Alas they rushed it onto the market with a number of niggling faults and now they are going through this image damaging update procedure. Paradise Lost.But I would love one. AF needs to be faster. Is it possible that Fuji built a wonderful camera, then assigned the firmware writing task to some new intern? How could they put so much effort into building a great camera, and then put so little into creating good firmware to make it work properly? The firms should be embarrassed by spending a year developing a new product, then releasing it, only to have to rush out multiple firmware updates. Its like they do no product testing, and just sit back and let their customers debug it. (Like Microsoft does). I don't know whether I'm missing the point altogether or not. When I upgrade either my computer's system program or my suite of working programs, I very often need quite a bit of time to get used to the new environment. Not only do I not find that dramatic, I actually take pleasure in the challenge (where have they put this? Oh, there!). The X100 is a bit of the same, only much simpler, because there are far fewer places where Fuji could hide things (the menu tree is basically two dimensional), and the rest is all buttons. So I'm spending some interesting time getting to know where things are - and taking rather good pictures in the process. It's a very good camera, and complaining about the software is a bit like complaining about the Ciba process in the now distant past; it was finicky as hell, but it produced good results, and I don't remember anyone complaining about it then. I'm having fun getting acquainted with it. Hope you can all have some fun too. "Slapped... Ouch..... :-( et tu brute? radio silence............"
I like the list and it seems appropriate. When I got the camera I had one of the slowest SD cards possible (Class 4), since then I've gotten a UHS-I card and what a difference. Since I received the UHS-I card, the camera doesn't lockup, time to shoot is much, much better and the battery is lasting longer. For example, last night I went out to watch some bands for a few hours and I took over 300 images and the battery didn't run out (the battery wasn't even full when I started). I'm shooting with all of the fast startup stuff turned off, which with the UHS-I card I found I just didn't need and I have auto shutoff set to 5 minutes. Is it just me? or is the writing to card lockup time not mentioned in that list of criticisms linked? Shouldn't it be in there? I can entirely imagine fuji is simply collecting lists like that and working off of them. Thom Hogan is absolutely right when he says that Japanese companies are way behind the curve in software and don't even have a clue about how clueless they are. Yesterday, I promised to send my neighbor a picture of my side of our common party wall (don't ask.) I already had a photo from a D3s shot with the legendary 14-24/2.8 on my computer one floor away. But I had my new Iphone 4 with me right there. I took a new shot and emailed it to him. Saved going up and down a flight of stairs. The iphone picture was good enough, and the software was far, far better from Apple. Too many companies think that software, firmware, drivers are just an inconvenience and must be done at minimal cost. The X100 reflected the mindset that software is a nuisance and not to be labored over. If the software had been competent, demand would probably have doubled. If the software had been competent, creative and transparent, they would have had to build new factories to meet demand. Agree entirely. I eagerly await andoid-based camera OSs, so that we can create and customize new interfaces and apps. This type of customization WILL come someday -- you'd think m4/3 companies would be leading the charge. Maybe we just need Apple to partner with a camera company so that all the rest can follow! 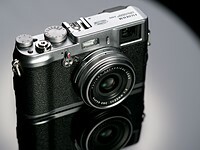 These are the significant issues with the X100? I wonder, what are the hidden fixes in this firmware? Also, what about the very poor battery life ? Nice... but I would love to see the MF ring working as much closer as a MF lens as possible - faster and continuously, not in steps ... if possible. So it seems that Fuji did not care to fix the "aperture dance before actual capture" issue. Nice touch ! That issue alone kills manual focus shooting by adding useless shutter lag. There must be a reason for the Aperture dance as I`ve seen it mentioned countless times regarding Olympus Micro 4/3 cams especially with the panny 20mm F1.7 . It's good to see that they're improving the X100 firmware, but it would be nice if they addressed the critical problems first, like the unusable manual focus ring, the slow write speed, and the camera locking up when it saves images. How about turn that useless RAW button into a second customizable function button? How about giving more options with the custom settings? Like ND filter and AF assist light options. How about when you change the ISO setting you make the ISO increase when you rotate the dial clockwise and decrease when you rotate it counterclockwise (same goes with the jog lever). Right now it's in reverse and feels very counter-intuitive. Definitely agree with what Tashley said about the ability to see overexposed highlight warnings instantly when you go to review. All you have to do is let the camera 'remember' what view mode it was in (the advanced one with the highlight warnings) when you hit the review button. Come on! Even basic P&S cameras have this option!! How about giving us the option to increase the minimum focus distance when viewing through the OVF? Right now it's limited to 80cm which is too far, but if you're viewing through the OVF and switch to MF and hit the AFL/AEL button you can focus down to 10cm. The camera is capable of focusing alot closer than 10cm so give us an option in the menu to change the minimum focusing distance! Why limit us? Another suggestion for changing ISO when viewing through the OVF, why not keep the dial to changing ISO in 1/3 increments, but change the jog lever to change ISO to full stop increments? That way changing ISO won't have to be so tedious and long and you don't have to cycle through all the 1/3 increments. As it is right now, they both do the same thing, and it slows down the whole intuitive physical manual experience to the camera. Sorry, I meant to say "The camera is capable of focusing alot closer than 80cm", not 10cm! "The camera is capable of focusing alot closer than 10cm so give us an option in the menu to change the minimum focusing distance! Why limit us?" An experienced user (which is the audience this camera is targeted towards) would be smart enough to recompose. That's why I said give us an 'option' to increase the minimum focus distance in the menu (and maybe give a display that says 'warning: parallax error may occur') where you can switch it on or off or better yet set the actual minimum AF distance. The only way to get around this right now is by having to change over to MF and press AFL/AEL (and the switch is fiddly when you try to switch back to AF mode) or menu change to Macro mode and the back, and it's just annoying and unintuitive. Just like how the auto ISO mode is SEPARATELY hidden in the menu from the function ISO menu, and how the self timer automatically switches itself off after EVERY shot you take so you have to menu dive and switch it back on. If they haven't fixed the inability to see highlight warnings in image review immediately rather than after several button presses I'm going to sell mine: it's a very basic requirement in a camera that inconsistently but frequently overexposes and has no better than average DR.
i wanna hear "faster focusing speed"
TThis demonstrates that the "big bad errors", in vast majority, is the main commonly type of error in software industry, the software bug. Its very important understand the critical moment in Fuji´s Seidan Factory in Japan, post tsunami. The Fuji´s crew has made a big effort to mantain, up to date, this big product, made in Japan. 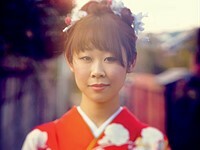 Well done Fuji, and, only the time will show us the real potential of this excellent digicam. Well, not always the software fixes are for software errors. sometimes you have hardware errors for whom you can implement a software fix. For example, if the focus moves when you close the aperture (It happens in some lens designs), you can implement a software fix to compensate (at least partially) for that problem. I'm not saying that it is always like that, I also see lots of software errors everywhere, but sometimes the problems are not in the software, but in the hardware. I´just said "In vast mayority" not in all errors. Obviously, sometimes the problems are in hardware, but in this case, the software its plague of errors. my look its from a computer programmer, not only an amateur photographer, and in my category business the software errors its the mainly source of problems. I just try to say, Fuji will need refocused in their control quality software departament. And this update demonstrate my point of view. Some of these improvements are very welcoming. Hope this firmware update will be released soon. It looks like there are some good options coming in this firmware upgrade. I don't own an X100, but really really love the X100 I've used. I hope they did. One of the most annoying quirks in the current version. I hope so as well. none of these "fixes" above are spectacular.... I wish they would address the AF as well. Did they fix any of the "huge issues" with the camera? this is only designed to say "we fixed the firmware bugs", even though they did the easiest stuff there. I'm doubting they will ever fix the real mechanical stuff because that stuff is just plain hard to invest time and money into, which they should have done from the beginning. Anyway, a good firmware update to a good camera. Awesome! Following recent updates to the X-Pro1 and X-E1, Fujifilm has released a major upgrade to the X100, the original (now-discontinued) X-series model, which was announced back in 2010. Since its release, the X100 has benefitted from a series of major firmware improvements, and the latest - likely to be the last - offers faster startup time, and improvements to automatic and manual focus. Firmware v2.0 is available for download today. Click through for our opinion on this announcement, and the official press release.